Benny and I moved from our rented flat in Rivervale to his friend Chad Fletcher’s place over in the Subiaco neighborhood. Subiaco is quite a bit more urban, with a ton of development going up everywhere. Chad has owned his flat for 7 years, and he said that the area has really grown up around him, obviously to the benefit of a property owner. The neighborhood is a nice mix of cafes, independent retail shops and a few Australian chain restaurants. Very clean and modern. 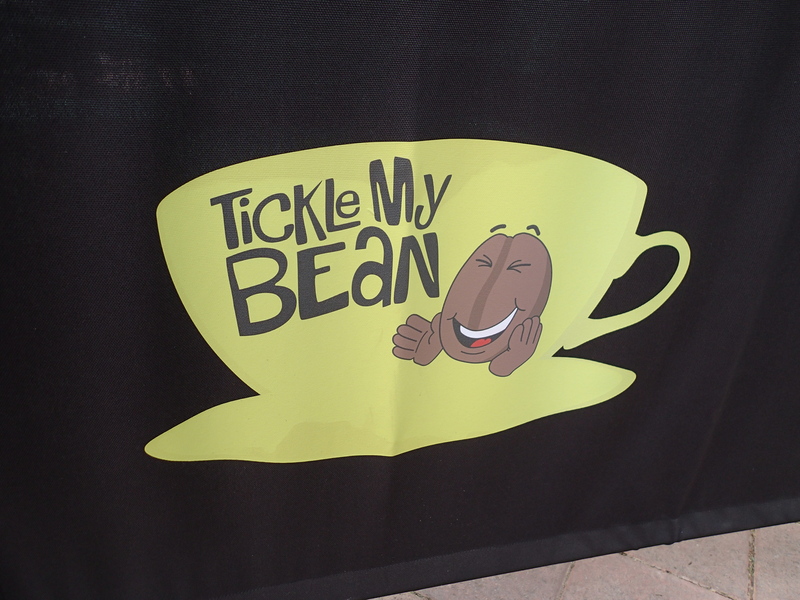 Benny and I actually found a pretty funny coffee shop around the corner from Chad’s, a joint called Tickle My Bean, which we thought was hilariously suggestive. Australians are a bit coarser in their sensibilities over here, with newspaper articles printing a profane quote by merely dropping a couple letters from the middle of a four letter word. Chad got in last night from Indonesia, where he’s been surfing for the past two and a half weeks off of Bali. Every surfer I’ve spoken to here raves about the surf in “Indo.” Tickets being around 300 round trip and accommodations being on the $10/night side, it isn’t tough to see why. If I can get my surfing up to scratch on this trip, I am going to make an effort to go spend a week. I was speaking to another bloke yesterday named Jason, who like many in Western Australia, works in the mines. He talked about the good money that the miners make, and how the “really huge money” is being made in offshore mining. Apparently there has been a big operation opened off of the northwestern corner of the country, and guys over there are making $275,000 annually, working a 26 days on/ 9 days off schedule. He says the money is great, but it is grueling 14 hour a day work. It really shows on the faces of the miners, there is a tradeoff there between your life expectancy/quality and the cash. For that kind of money though, there are no shortage of men willing to make that trade. He gave me a very cursory overview of where most things are mined in Australia. The northwestern quadrant near Broome is mainly iron ore while the eastern side is largely gold and diamonds. The project he was about to leave on was an absolutely desolate location where they were mining for nickel. Hearing about mining as such a lucrative enterprise was a first for me, as American miners have fallen on hard times lately, especially in the coal industry. He also spoke of oil and gas developments off of that northwestern side, but there does seem to be a more pronounced opposition to offshore drilling in OZ than back in the US. Past the mining conversation, we got into surfing and he was very adamant about not surfing Western Australia any longer. Apparently the Indian Ocean side of Australia outlawed the hunting of Great White Sharks while paring back fishing to replenish natural fisheries back in 1998. Since then, the shark problem has become pretty fierce, with 6 meter (nearly 20 foot) great whites being seen within 100 meters of shore. This coupled with the 8-10 shark attacks reported annually have really damaged the reputation of Western Australia for surfing. Jason was another avid proponent of Indo for surfing. This morning after Chad woke up from his 5AM re-entry from Indo, we spoke a bit about footy. Chad played professionally for West Coast Eagles and it was interesting to gain the perspective of someone who played for 11 years in the league. He spoke of how different the game is today from even when he retired 7 years ago. He also spoke of the real problems with former footy players reintegrating into the workforce after years of being professional athletes. Footy players over here make good money, with 8 players making more than 1 million AUD/year in the 2012 season, and the fat part of the bell curve being between $100,000-300,000. These numbers seem downright paltry compared to the 25-30 million a year that American superstars make. A few reasons for wide pay discrepancy include the very powerful club culture in AFL; players being far more likely to stay with a club their entire careers, and a strict salary cap which doesn’t allow for extreme pay for superstars. There is also a Father-Son clause during the draft which allows teams to take the sons of former long time players (100 games played) to take the son prior to the draft. This kind of cross-generational connection to the club is really interesting. I suppose the closest parallel in US sports would be sons playing for their father’s alma mater. No correlation professionally. Chad actually spoke about the team taking cross the board paycuts in order to keep the club from losing players to free agency. The club went on to go to back to back Grand Finales (Super Bowl equivalent) and Chad said that he would gladly give back 50k of salary in order to be on a squad competing at that level. I laughingly thought about Lebron leaving his hometown Cavaliers for the money. Villian would’ve been too kind a word for Lebron in footy culture. Learning more by the day, fascinating to learn something from scratch like this, even if it is just sports.